New York and Waltham, MA — December 18, 2017 — ModusLink Global Solutions™, Inc. (NASDAQ: MLNK) and Steel Partners Holdings (NYSE: SPLP) today announced that ModusLink has completed the acquisition of privately-held IWCO Direct, a leading provider of data-driven direct marketing solutions, for $476 million in cash. For the last 12 months through October 2017, IWCO Direct had net revenue of $470.6 million, net income of $18.9 million and Earnings Before Interest, Taxes, Depreciation and Amortization (“EBITDA”) of $82.2 million. For the last 12 months through October 2017, ModusLink had net revenue of $417.8 million, a net loss of $22.5 million and negative EBITDA of $3.8 million, although net loss and EBITDA improved by $32.5 million and $28.0 million year-over-year, respectively, as a result of the corporate turnaround plan launched in May 2016. Select financial statements will be included on Form 8-K/A, which will be filed with the Securities and Exchange Commission within 75 days following closing. IWCO Direct has consistently delivered highly-effective data-driven marketing solutions for its customers, which represent some of the largest and most respected brands in the world. Its full range of services includes strategy, creative and production for multichannel marketing campaigns, along with one of the industry’s most sophisticated postal logistics programs for direct mail. Through its Mail-Gard® product, IWCO Direct also offers business continuity and disaster recovery services to protect against unexpected business interruptions, along with providing print and mail outsourcing services. IWCO Direct is the largest direct mail production provider in North America, with the largest platform of continuous digital print technology and a growing direct marketing agency service. Their solutions enable customers to improve Customer Lifetime Value (CLV), which in turn, has led to increased revenue and longer customer relationships. Additionally, it was announced today that Steel Partners Holdings L.P. (NYSE: SPLP) increased its investment in ModusLink through its affiliate SPH Group Holdings, LLC, with a $35.0 million convertible preferred stock investment, which together with its affiliates, brings its beneficial ownership in ModusLink to approximately 52%. Proceeds from the $35.0 million convertible preferred stock investment will be used for working capital and general corporate purposes. The preferred stock transaction was approved by a special committee consisting of independent directors of ModusLink who are not affiliated with Steel Partners. ModusLink Global Solutions, Inc. (NASDAQ: MLNK) is a leading global provider of digital and physical supply chain solutions. The Company helps its clients drive growth, lower costs and improve profitability, while simultaneously enhancing the customer experience. With operations supported by 21 sites across North America, Europe, and the Asia-Pacific region, ModusLink partners with the world’s leading brands across a diverse range of industries, including consumer electronics, telecommunications, computing and storage, software and content, consumer packaged goods, retail and luxury, among others. Our solutions and services are designed to help global brands and companies expand their share, across geographies and channels, while continuously improving their end-to-end supply chains. For further details on ModusLink’s solutions visit www.moduslink.com, read the Company’s blog for supply chain professionals, and follow us on LinkedIn, Twitter, Facebook and YouTube. IWCO Direct (www.iwco.com) is a leading provider of data-driven direct marketing solutions that help clients drive response across all marketing channels to create new and more loyal customers. 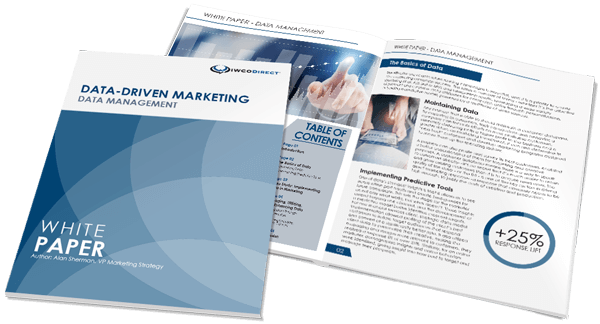 The company’s full range of services includes strategy, creative, and production for multichannel marketing campaigns, along with one of the industry’s most sophisticated postal logistics strategies for direct mail. Through Mail-Gard®, IWCO Direct also offers business continuity and disaster recovery services to protect against unexpected business interruptions, along with providing print and mail outsourcing services. Learn more by subscribing to IWCO Direct’s SpeakingDIRECT blog, or follow the company on LinkedIn and Twitter. The Preferred Stock will not be and has not been registered under the Securities Act of 1933, as amended, and may not be offered or sold in the United States absent registration or an applicable exemption from registration requirements. This press release contains certain “forward-looking statements” within the meaning of Section 27A of the Securities Act of 1933, as amended, and Section 21E of the Securities Exchange Act of 1934, as amended, that reflect Steel Partners Holdings’ and ModusLink’s current expectations and projections about their future results, performance, prospects and opportunities. Steel Partners Holdings and ModusLink have tried to identify these forward-looking statements by using words such as “may,” “should,” “expect,” “hope,” “anticipate,” “believe,” “intend,” “plan,” “estimate” and similar expressions. These forward-looking statements are based on information currently available to Steel Partners Holdings and ModusLink and are subject to a number of risks, uncertainties and other factors that could cause their actual results, performance, prospects or opportunities in 2017 and beyond to differ materially from those expressed in, or implied by, these forward-looking statements. These factors include, without limitation, Steel Partners Holdings and ModusLink’s subsidiaries’ need for additional financing and the terms and conditions of any financing that is consummated, their respective customers’ acceptance of their new and existing products, the risk that Steel Partners Holdings or ModusLink or their respective subsidiaries will not be able to compete successfully, the possible volatility of Steel Partners Holdings common or preferred unit prices or ModusLink’s stock price and the potential fluctuation in their respective operating results. Although Steel Partners Holdings and ModusLink believe that the expectations reflected in these forward-looking statements are reasonable and achievable, such statements involve significant risks and uncertainties, and no assurance can be given that the actual results will be consistent with these forward-looking statements. Investors should read carefully the factors described in the “Risk Factors” section of Steel Partners Holdings and ModusLink’s filings with the SEC, including Steel Partners Holdings Form 10-K for the year ended December 31, 2016 and ModusLink’s Form 10-K for the year ended July 31, 2017, and in any interim quarterly reports, for information regarding risk factors that could affect Steel Partners Holdings’ or ModusLink’s results. Except as otherwise required by federal securities laws, neither Steel Partners Holdings nor ModusLink undertakes any obligation to publicly update or revise any forward-looking statements, whether as a result of new information, future events, changed circumstances or any other reason.